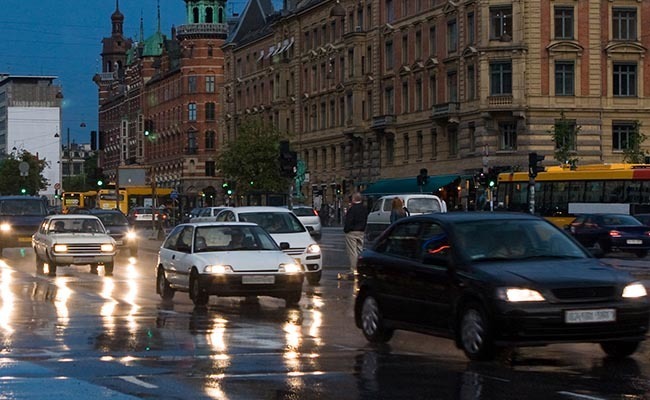 Analysts have been quick to note that Rasmussen appears to want an end to hybrid cars too, something that puts Denmark several steps ahead of many environmentally-conscious nations. During the announcements, Rasmussen also said that this will mean he wants more than a million electric or hybrid vehicles on the road by 2030. Denmark has just over two million cars registered as of the latest figures, so this would mean about half the fleet being fossil-fuel free. These plans sound ambitious, and they are. They’re also necessary. Global political leaders made a number of pledges under the Paris Agreement, the international declaration on climate change action, and one that Denmark made was to become fossil fuel free by 2050. In the more near-term, it also wants to reduce its carbon emissions to 34 percent below its 1990 levels by 2020. It has also committed substantial subsidies for the development of electric vehicle charging stations, as well as looking at biofuels. All this is designed to cut Denmark’s total output of CO2 and help it achieve its goal of being fossil fuel free by the middle of this century. This action would put Denmark significantly ahead of other nations, like the UK, which are looking at phasing out fossil fuel cars by 2040. Campaigners and policy think-tanks charge that the UK can and should take action sooner. As for Denmark, the key question is: can it achieve these ambitions? As of June of this year, its progress on the specific question of energy generation and getting away from fossil fuels is looking good. Wind power is currently generating about 43 percent of Denmark’s electricity. It wants that figure to reach at least 50 percent by 2030, so that target seems within reach. Denmark has a number of other things going for it, too. It is about 90 percent self-sufficient, meaning that it has more agency to govern how it uses the fossil fuels it does need. Given that Denmark is geographically well placed for easy green energy, it also has scope to ditch fossil fuels in favor of creating a cleaner domestic energy supply with relative ease. But, as with any journey, there have been problems. In 2016 Denmark scrapped some of its flagship green energy tariffs. It also suspended plans to build several offshore wind farms. It did this because, simply, the plans were costing Denmark a great deal of money that politicians felt they could no longer justify. Climate Action Network Europe recently criticized Denmark in a report for being among a number of nations failing to make adequate progress on their wider climate change commitments. This demonstrates that, while Denmark has made progress in some areas, we can’t allow this to obscure its wider climate change action progress. Much has been made about the Danish people paying some of the highest electricity prices in Europe, but it’s important to view those prices in context of Denmark’s relative affluence. Yet by scrapping tariffs like those given for electric vehicles, Denmark has created barriers to access, particularly for its less wealthy citizens. It will have to look again at subsidies if it is to achieve its wider goals on electric vehicles. Pleasingly, the government has taken action on this in recent months. On balance, Denmark’s latest commitments are encouraging, and Denmark sets an example for other European nations who must take similar concerted action if they are to stand a chance of achieving their Paris Agreement goals. Because of its cold environment, the Danes use more energy. However, it is remarkable how they move ahead faster than wealthier countries and countries that believe they are technically advanced. This action by Denmark should be jammed into Trump's bloated polluted face. Hopefully it will make him go insane. And where does the electricity come from? Where the components of the batteries? Zero emission? I doubt it!